Welcome to Sweden and Europe. Camping Key Europe connects campsites all over Europe. 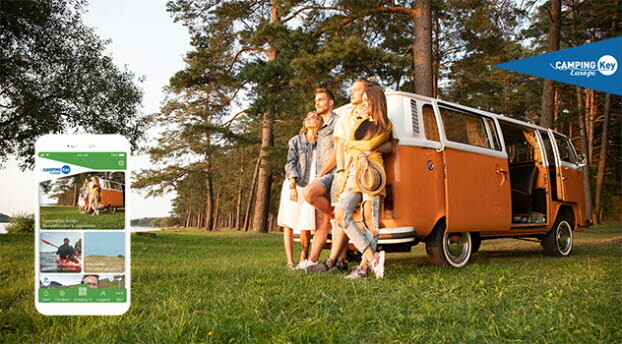 With the app My Camping Key and Camping Key Europe in your cellular phone, Europe is open to you, and your holiday will be more convenient, safer and cheaper. Camping Key Europe contains lots of benefits and offers as well as accident and liability insurance Buy your Camping Key Europe here. You will need the app My Camping Key to check in to any SCR Swedish Camping-affiliated campsite. Making it easier and quicker to check in and out. - Quick and easy check-in and check-out. No papers to fill in, just swipe or scan your Camping Key Europe from the mobile and it’s done. Who is behind Camping Key Europe?